It’s hard to ignore the steady rise in popularity that compact crossovers have enjoyed in recent years. American drivers are looking for a vehicle that can multitask, whether its driving to work, hauling groceries, or loading up and hitting the road for adventure. They want a ride that won’t get old over long trips, and they want to know that everyone on board is safe and sound. Essentially, they’re looking for the Hyundai Santa Fe. The Santa Fe delivers on industry standards and surpasses driver expectations with its convenience, comfort, safety, and state-of-the-art technology. All this comes at an extraordinary value, with incredible gas mileage, high performance, and Hyundai’s class-leading warranty. 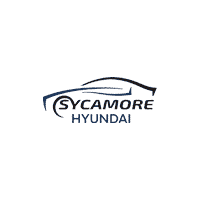 If you’re looking for solid midsize sport utility vehicle like the Santa Fe or any other car, truck, or SUV, Sycamore Hyundai is ready to help. Visit our showroom today to see what our team of insightful automotive professionals can do for you. Whether you’re cruising the streets of Sycamore or exploring the wide-open roads of Illinois, there’s a Hyundai for any situation. What’s New in the 2019 Santa Fe? The fully redesigned Santa Fe arrives as a longer, updated take on the agile Santa Fe Sport. A bundle of smart features come standard, offering new safety and infotainment capabilities. The spacious cabin seats five in high-quality materials, and the overall interior presentation suggests an air of luxury. Even the rear seats offer plenty of room, and they also recline and slide as needed. Families will appreciate the LATCH car seat connections, and sleeping passengers won’t be troubled by road noise, as the interior is stilled with sound-dampening insulation. Interior features include the Hyundai Bluelink interface, which can communicate with smartphones for Apple CarPlay or Android Auto. Various trims come with other features. The SE comes standard with touchscreen and remote keyless entry, and the XL SE adds other perks like satellite radio and dual-zone air conditioning. The Limited trim features a panoramic sunroof and leather seats, and the three-row Limited Ultimate offers heated seats, panoramic sunroof, and multi-view camera system among other features. The 2019 Santa Fe’s standard safety features include adaptive cruise control, forward collision avoidance assist, driver attention monitoring, lane keep assist, safe exit assist, blind spot monitoring, automatic high-beams, and more. Hyundai first released the Santa Fe in the U.S. in 2001, marking the manufacturer’s first venture into the spot utility vehicle segment. It came in both front-wheel drive and four-wheel drive configurations with a 2.4-liter engine. The initial release sold well, and Hyundai chose to invest additional research and development into the promising SUV. In 2007, Hyundai released a redesigned Santa Fe, sporting a more refined exterior styling and more powerful engine. Seven years later, the Santa Fe Sport arrived, reflecting an industry trend toward more compact crossover SUVs. With a total redesign in 2019, what was once the two-row Santa Fe Sport is now the basis for the Hyundai Santa Fe, packed with a suite of high-tech safety features. At Sycamore Hyundai, we want to put you in an ideal position when shopping for your next vehicle. We carry used and new Hyundai models covering a range of trim levels and price points. Come visit our dealership or peruse our inventory online to find the right vehicle for any scenario. We’re sure that you’ll find what you’re looking for, and our expert staff is ready to help you with knowledge and stellar customer service. You may be surprised by how little it costs to drive home in a Santa Fe! When you come by the dealership, don’t forget to ask about our incentives and specials.